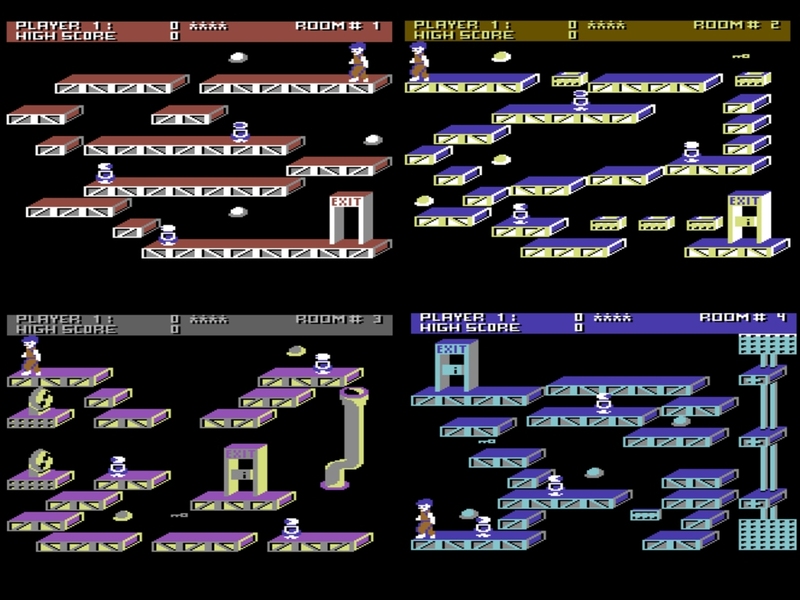 The game is a platform game with multicolour graphics without scrolling. 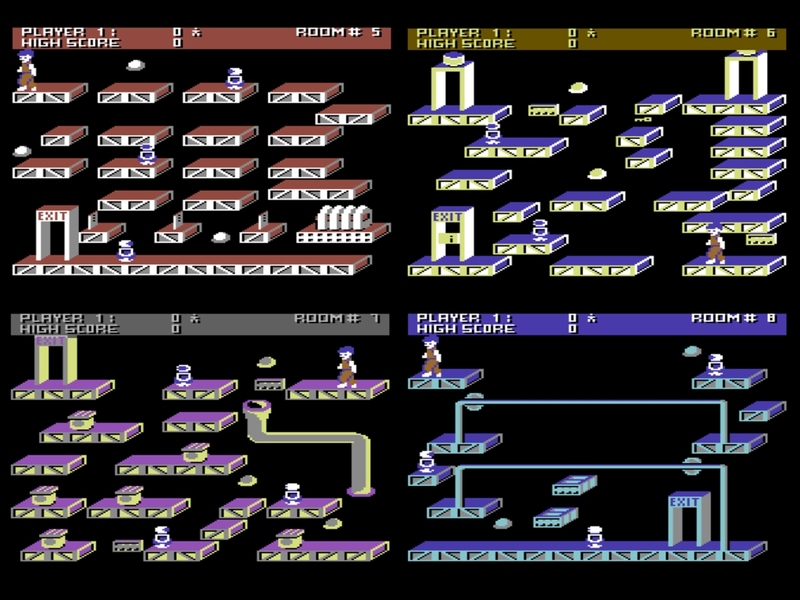 The platforms are shown in pseudo 3D and sound effects emphasize different sections of the game. Up to 2 players can play in turns. The game setting is in a factory like environment filled with killer robots, elevators, pipe systems, blowers, teleporters, spring boards, tightrope walks, laser walls and lightning bolts. 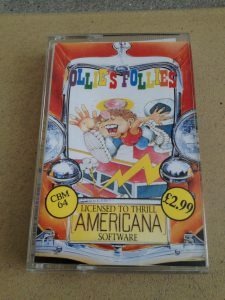 The aim of the game is to get Ollie safely through all 24 rooms without being killed by robots, fall off any platform, getting zapped by lasers or burnt by killing lightning bolts. Each room is completed by getting a key to unlock the exit door. When Ollie reaches the opened exit, he will enter the next room. To aid our hero “Energizer” hats are available which changes Ollie’s hair colour and he will be able to kill robots for the next five seconds by touching them. 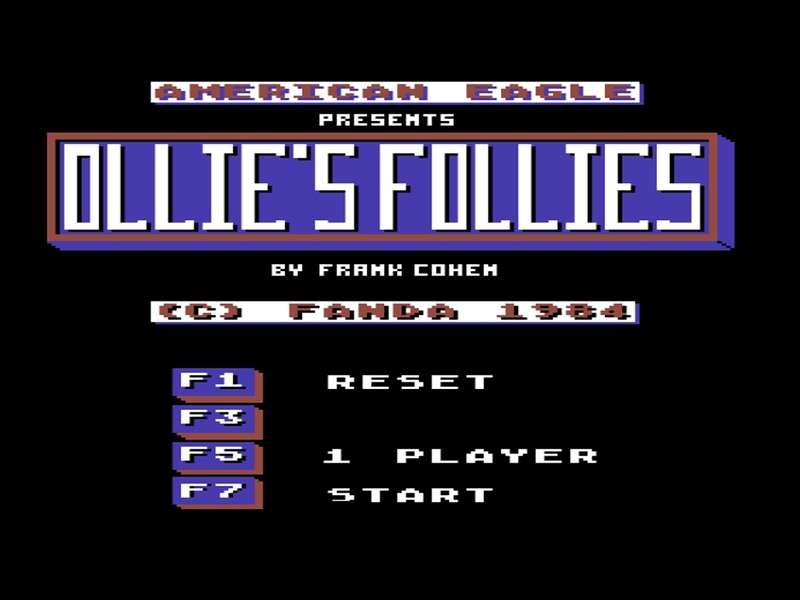 In the top of the screen is the current player number flashing (1 or 2) along with the number af lives left, the score of the current player and the current room number. 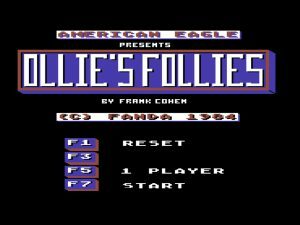 Furthermore, the Americana Software version has added music to the title screen. The way to use the teleports have has also been changed so the joystick must be pushed up before hitting fire. 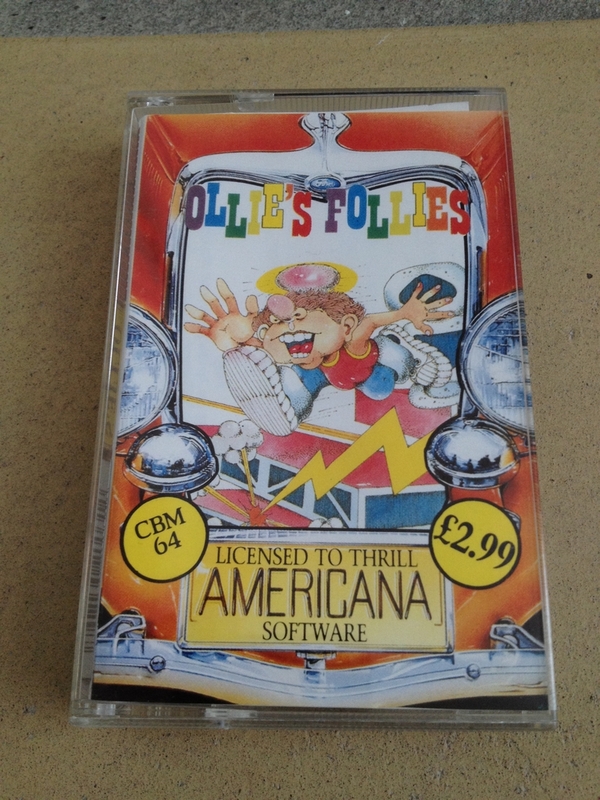 In the original the joystick had to be pulled down with the risk of Ollie falling off the platforma and die. In the walkthrough video below, I use a couple of tries in Room 6 before I figure this out… Furthermore, whenever Rooms 4, 8, 14 and 18 have been completed you are congratulated and offered a cheat word which makes Ollie jump straight to the desired room without having to complete everything all over again. The word has to be entered while the game is running! And the best thing is that a finish screen has been added to congratulate you on your efforts. This was omitted in the original Access Software release. 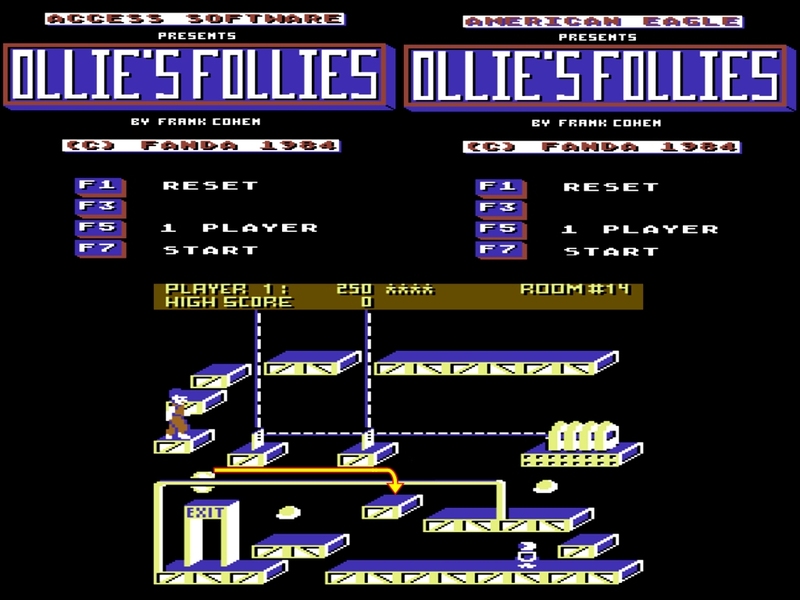 However, after this screen, the game loops back to Room 1 and Ollie can start all over again. 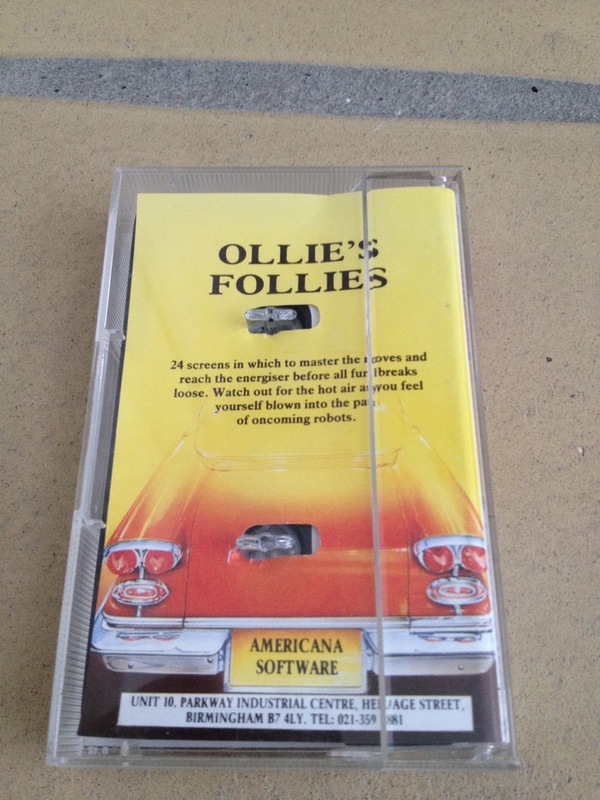 This is a video of how to get through all 24 room in the Americana Software version from 1986. 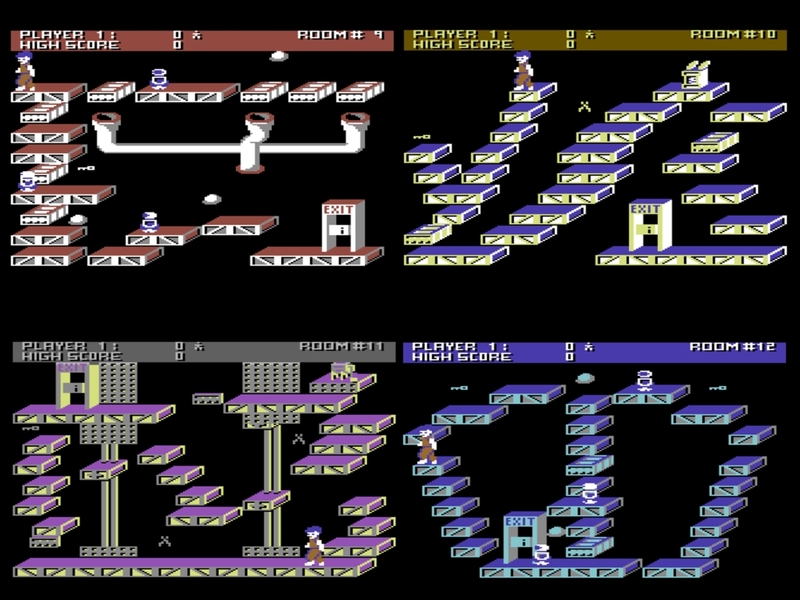 The gameplay is not fluent as in other Commodore 64 games from the early 1980’s. 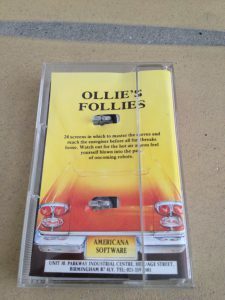 There is a lag between the joystick inputs and the movement of Ollie. He also takes a couple of steps further than expected when you want him to stop. The extra steps also hold true when Ollie lands after a jump which causes him to fall over the edge if not careful. This is by far the most frustrating part of the game. 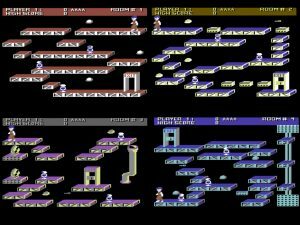 Nevertheless, the difficulty of the enemies and the ability to find a suitable path across the platforms are balanced and I have not yet reached a room which I could not get myself out of. 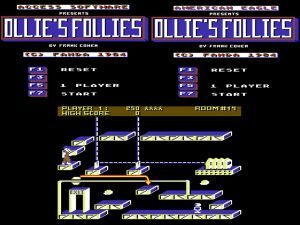 Ollie’s Follies is one of my all time favorite games for the Commodore 64. To get a higher score, the delay on the joystick inputs should have been minimized. 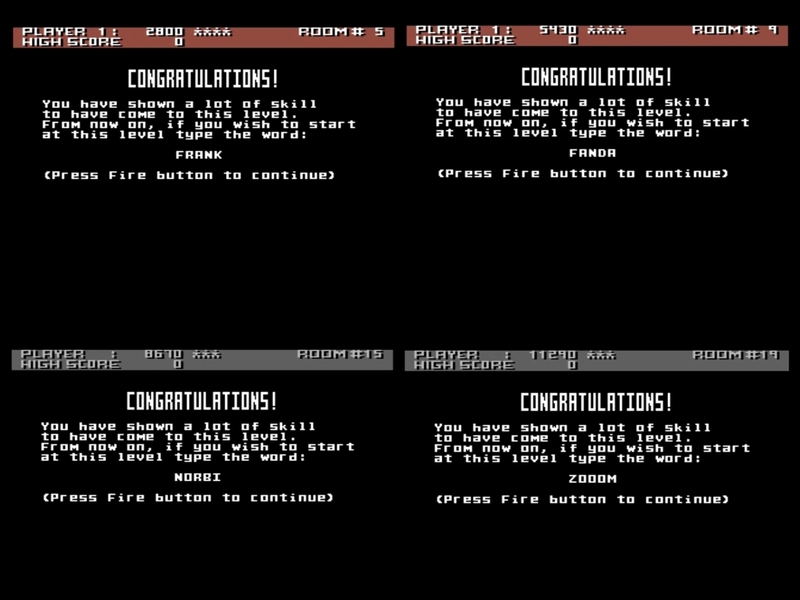 The end screen should have been the last one and give the player the possibility to punch in a name for a high-score list. 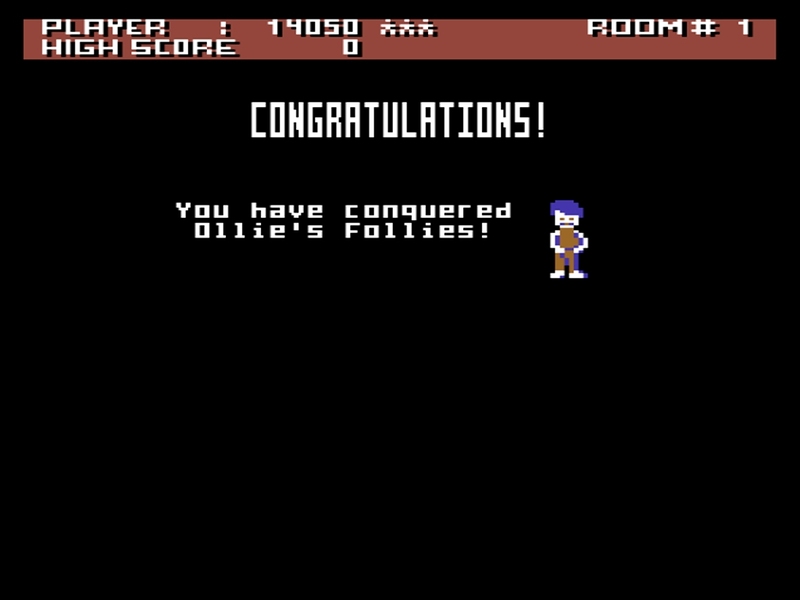 Instead, Ollie is just tranferred back to the first room. 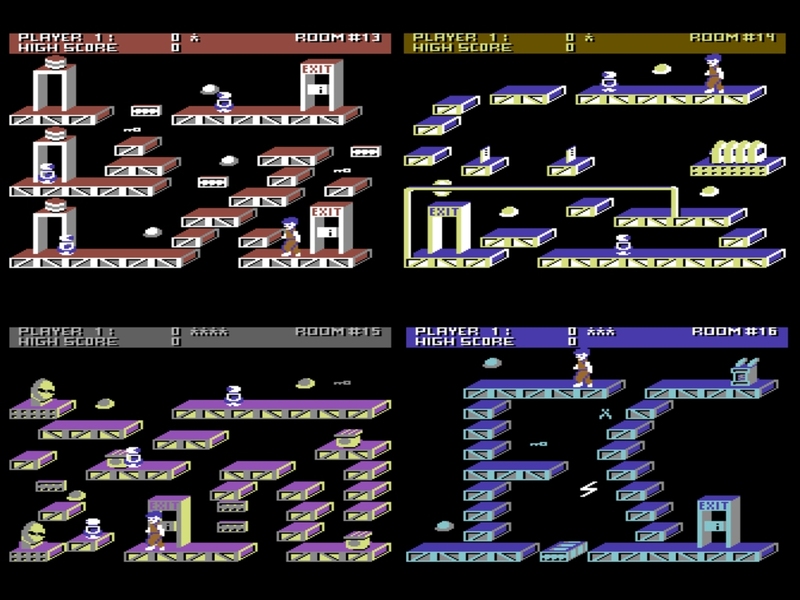 Nevertheless, the game is heaps of fun and I still really enjoy playing it, even after all these years.